Welcome to Swiss Club Philippines! 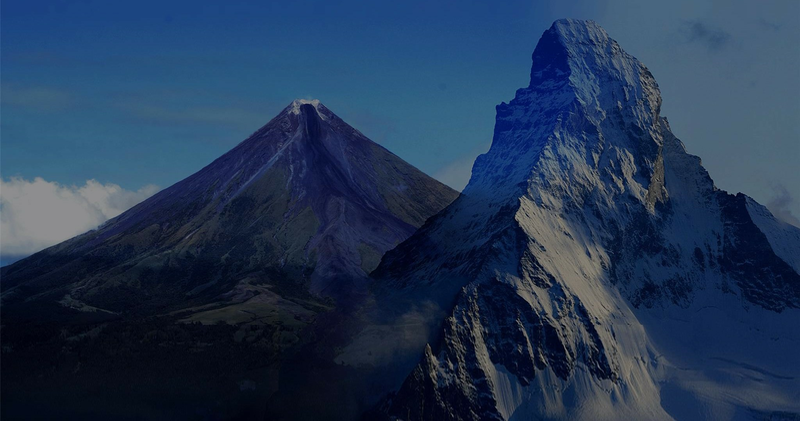 The Swiss Club, Inc. Philippines is a non-political, non-profit seeking association of Swiss nationals and friends of Switzerland residing in the Philippines. 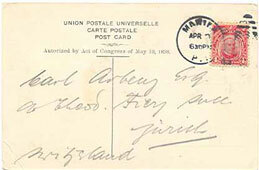 To unite all Swiss residing in the Philippines islands, to further their interests jointly, to have sound and healthy recreation and entertainments, to inspire them in the carrying out of the foregoing through the means of this Corporation, to remain aloft from politics, to obey all laws of the Philippine islands, to maintain good fellowship among its members and thereby foster the love of their country. To foster friendship and contact among local Swiss community. To foster friendship and contact between the Swiss community and friends of Switzerland. To act as a liason body between the local Swiss community and the Swiss Authorities. To organize any such cultural, or recreational, or sports events andor activities that are in the general interest of its members and the Swiss community in general. To organize and/or take care of any activities or moves that are considered necessary or in the interest of the majority of its members. And, in furtherance of said purpose, to organize sections in the club, such as but not limited to an educational organization, a rifle association, a singing club, etc. The activities of such special sections shall be managed by committees which will promulgate the requirements for admission and the operating rules and regulations to be complied with by the members thereof upon approval by the Board. 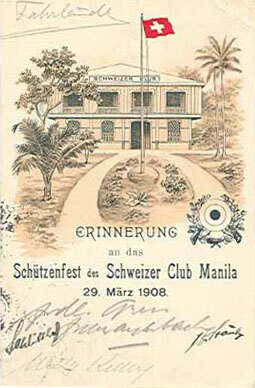 The Swiss Club was founded in 1907 when the Ermita Club, which was mainly a rowing association, was dissolved. The former Swiss members of the Ermita Club, numbering about 35, decided to form their own Club and rented premises in the Roxas Building, which was located on Echague Street, along the Pasig River. However, when that building was sold a few years later they had to look for new localities, which was found in Ermita, first on Guerrero and later on Mabini Street. Having had three different premises in one decade, they were able to acquire their own property by purchasing a dormitory on General Luna Street from Bishop Brent. For the acquisition of this property the Club had to be incorporated, which was done on February 1st, 1918. The building on General Luna Street was remodeled in order to suit the Club members and during the course of the years two bowling alleys, a shooting range for small caliber rifles, a badminton court and a library were added. During the liberation of Manila the Club House unfortunately was completely destroyed and on account of the greatly reduced number of resident members and the high cost of construction materials, the lot was disposed of in 1948. During the first post war years the Club members met regularly, first at the residence of Atty. E. A. Perkins and later in the Swiss Inn Restaurant both on Dewey Boulevard now Roxas Boulevard. On January 1949 Mr. Emil Landert, owner of the Swiss Inn offered to sublease to the Club premises on the first floor of his hotel. Later when the Swiss Inn moved to Paco Park the Club followed. More and more Members moved their Offices to the Makati Area. Therefore the Club gave up the premises at Swiss Inn Paco in the early eighty’s. Many of the events you will find on our yearly calendar have been held for decades through the relentless efforts of some passionate individuals interested to retain a small piece of Switzerland in their new host country. Our special thanks go to all the known presidents of the Swiss Club in gratitude for their exemplary service. P 200.00 for every annual due / P 100.00 for every half-year due collected is for the benefit of the Swiss Benevolent Foundation, Inc.